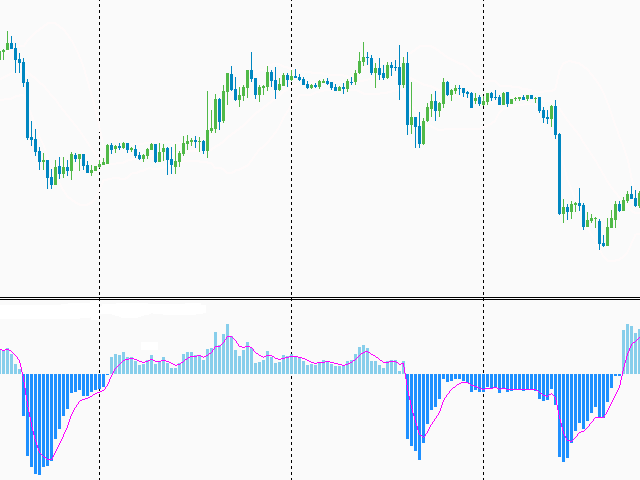 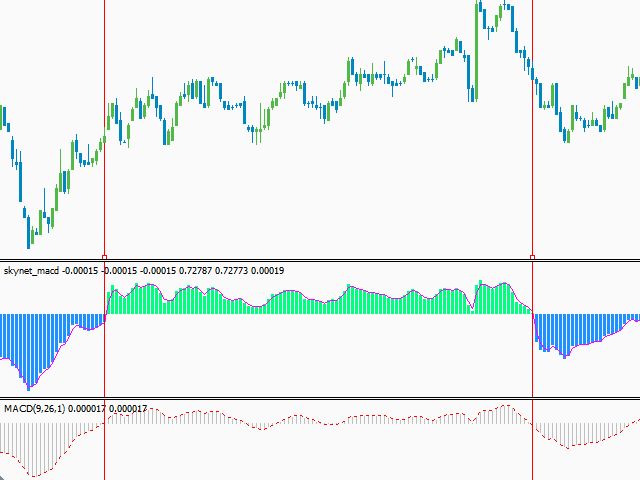 This indicator displays a histogram of the crossover of two analogs of the moving average, in appearance it is the same as the classic MACD indicator, but with almost no delay. 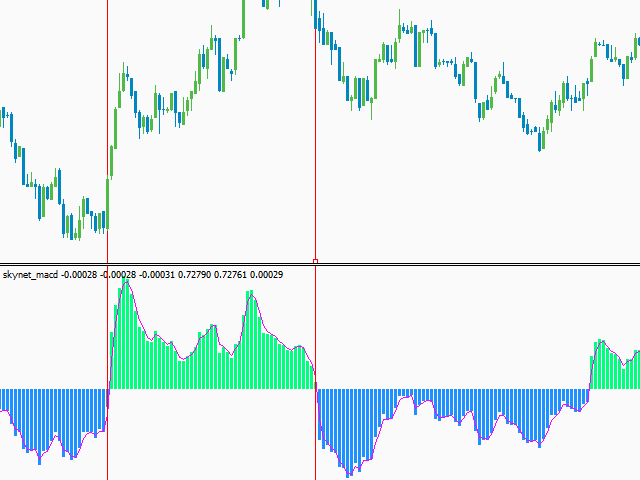 The first value of the indicator after going through zero is calculated using the difference between the upper and lower Bollinger bands. 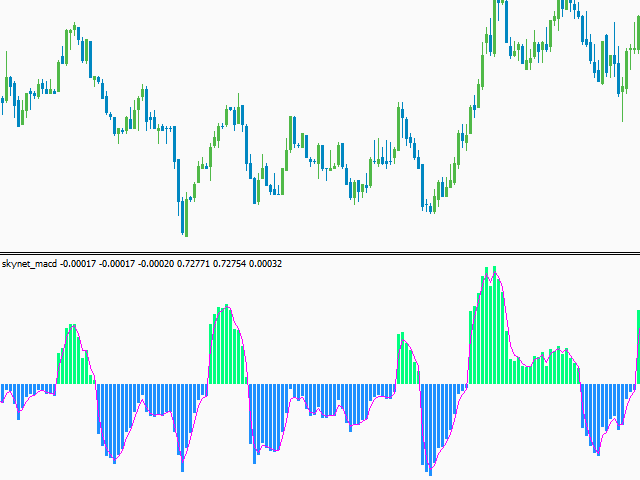 there is practically no delay with an increase in the averaging periods, since analogs of the average are used, where there is no such negative effect as delay. 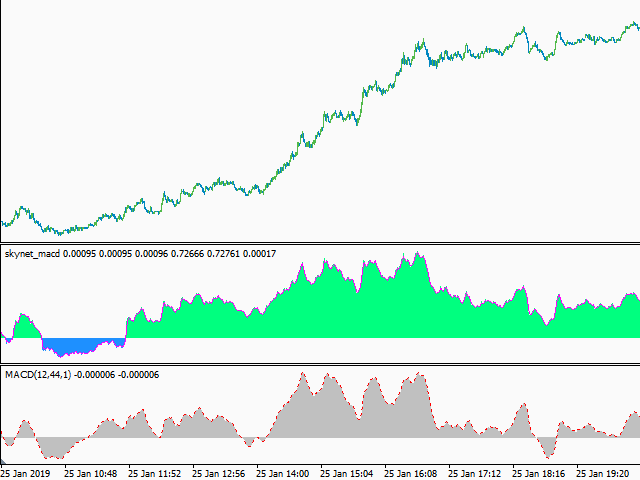 additional parameters for more flexible control of the indicator.